If you enjoy sharing wildlife with kids, then bird watching is a great way to start! Even the youngest learners are enamored with visitors to a bird feeder. Keeping track of the birds that come to visit your home is an excellent family activity, and is also easy to incorporate into the classroom. 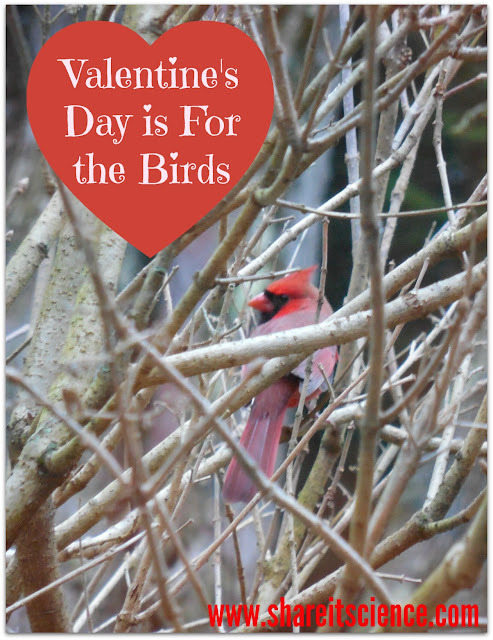 It is never too early to start bird watching, so grab your preschoolers and head to the window! We love bird watching at our house, so we look forward to February's annual Great Backyard Bird Count, or GBBC. 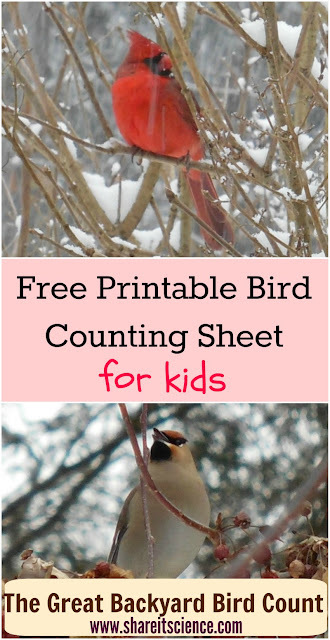 As the bird count spans academic days and the weekend, this is a fun activity to do in your classroom or at home. You can go on a bird walk and count, or count from your window as you watch the feeders. 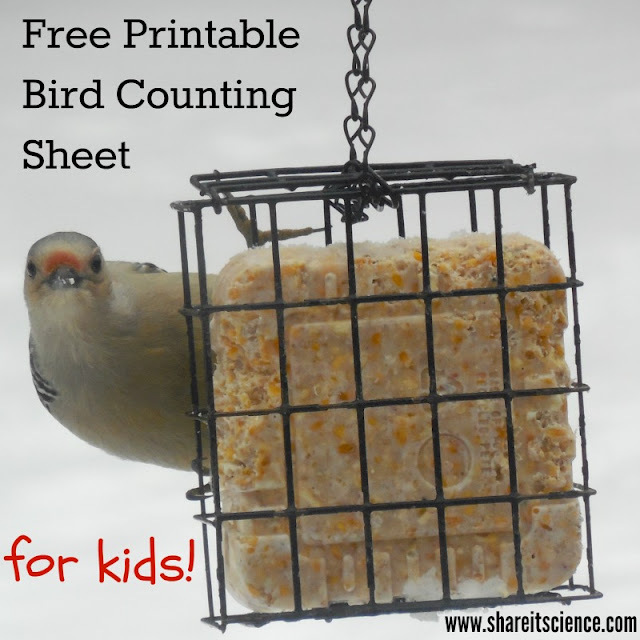 We put together this bird tally sheet printable to help kids (or adults!) with their bird count. On it you'll find some of the more common birds observed in North America. Keep it near your bird-watching window at home or school, or laminate it to make it sturdy and waterproof for an outdoor bird hike! You can download the free printable tally sheet here. 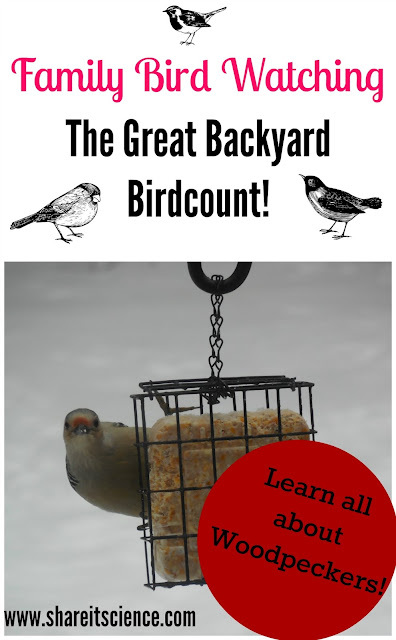 Learn More about the Great Backyard Bird Count! 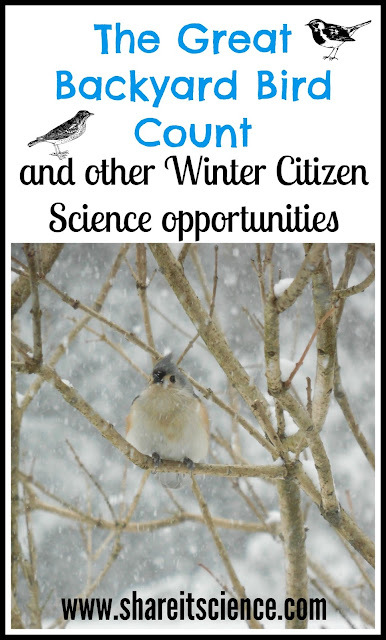 Get your children and students excited about citizen science! Anyone can contribute to scientific research and advancement. 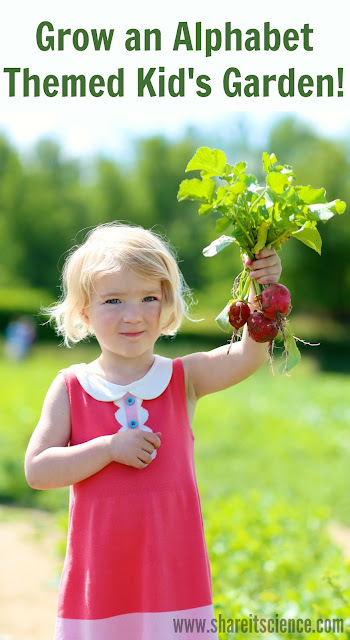 It is a great way to encourage a love of learning and is fun to boot. The GBBC and Woodpeckers Galore! 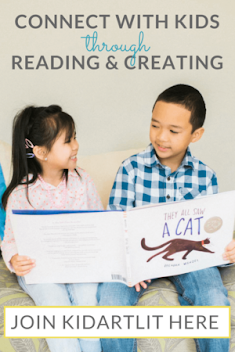 Turning Screen Time into Reading Time!